Chief Minister Jon Stanhope today announced that the ACT Government was to adopt the proposal recommended by Dr Allan Hawke AC to establish a single agency, of nine directorates as the administrative basis of the ACT Public Service. “Last month, when I released the report, Governing the City State: One ACT Government – One ACT Public Service – I flagged that, 21 years after being granted self-government, the time was right for significant structural changes to allow greater coordination between areas of the bureaucracy,” Mr Stanhope said. The single agency model will report to a single Chief Executive through nine directorates, each headed by a Director-General. The new position of Head of Service will also serve as Director-General of the Chief Minister’s Department. Mr Andrew Cappie-Wood will be appointed Head of Service and Director-General of the Chief Minister’s Directorate. The most significant changes to the ACTPS relate to the Economic Development and Sustainable Development directorates. 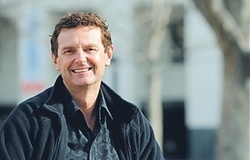 The Economic Development Directorate, to be headed by Mr David Dawes, will have primary responsibility for working with the business community in relation to economic development and business support programs, the design and delivery of the government’s land release program, tourism and events and sport and recreation. Mr Dawes will also fulfil the role of Coordinator-General, which was integral to the successful delivery of economic stimulus measures in 2009-10 during the height of the Global Financial Crisis. Building on Dr Hawke’s recommendations, the government has decided to bring together responsibility for business, tourism and events in this directorate, together with responsibility for the operation of major venues including Canberra Stadium, Stromlo Forest Park, Manuka Oval and EPIC and for government services and support to the sport and recreation sector. The Economic Development Directorate will continue to be responsible for the strategic management of the Government’s property portfolio, but ownership and responsibility for day-to-day repairs and maintenance will return to the Territory and Municipal Services Directorate. The Sustainable Development Directorate, to be headed by Mr David Papps, will bring together elements of the ACTPS with responsibilities in the planning and development sphere. These will include planning policy (including transport planning), environmental policies and programs, heritage and the Government Architect and the ACT Planning and Land Authority (ACTPLA). Overall responsibility for planning policy will vest in Mr Papps as Director-General with some formal statutory powers primarily related to development approvals, to remain the responsibility of the Chief Planning Executive. The Directors-General will formally commence their new roles on 1 July 2011 however, work will commence immediately on the integration and alignment of roles, responsibilities and administration to reflect the new arrangements. — Territory and Municipal Services – Mr Gary Byles. To ensure greater coordination and alignment of effort across the ‘one government’ model, a new ACT Public Service Strategic Board, chaired by the Head of the Service and comprising all other Directors- General has already been created and is meeting regularly. In a departure from recommendations of Dr Hawke, the Government has decided that responsibilities for CIT and vocational education will remain with the Minister for Education and Training and Canberra Connect will remain within the Department of Territory and Municipal Services. “I am confident this new structure, and further changes resulting from the Hawke Review and still to be announced, will lead the change management and cultural changes required to embed a new way of working which is essential to the success of the new single agency model,” Mr Stanhope added. Will this be a great improvement? I think one improvement is that it looks like Neil Savery of the ACTDAA (ACT Development Approval Authority) will get boned. When in doubt, shuffle the deckchairs. There is no change except for a big noting CM saying “look at what I did” – go plant another tree. How about you (CM) publicise the results of the current shared services audit??? That WILL be great reading as to where the ACT public service as a whole entity is at. A service shared is a service lost. It will make an enormous difference for any struggling printing and signwriting firms around Canberra. Hard to know. Key things will be to get land use planning and transport planning back together, and with close ties to environmental planning/sustainability. This would include policy direction of ACTION I would hope. This would leave TAMS as mostly the delivery agent, with sustainable development being the policy area. Treasury, Community Services, Justice, Health, Education – unchanged for all intents and purposes? But why keep a separate Chief Minister’s Dept?? Isn’t that what the CE’s office would do? Isn’t that being a bit too slavish in wanting to follow the federal model of PM&C? Not sure, may just turn out to be semantics. Everyone carries on as before but they now have a new name for their Department (sorry Directorate).